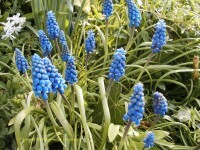 Lovely variety of pale blue scented Grape Hyacinth. This is not a rampant variety so great planted en-masse to naturalise. Great in woodland settings or to edge borders. Height 15cm. Full sun partial shade. Good for bees. Lovely in pots and containers. 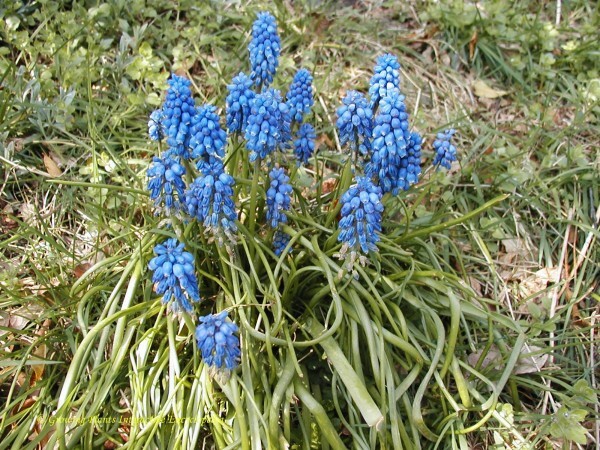 Hardiness: Fully hardy: the plant can tolerate temperatures down to about -15C or 5F. 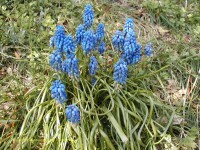 Can be grown from: Division, bulbs or seeds. Soil conditions: sandy or dry, clay deep rich well drained soil. Cultivation methods: They are frost hardy and prefer cool areas. 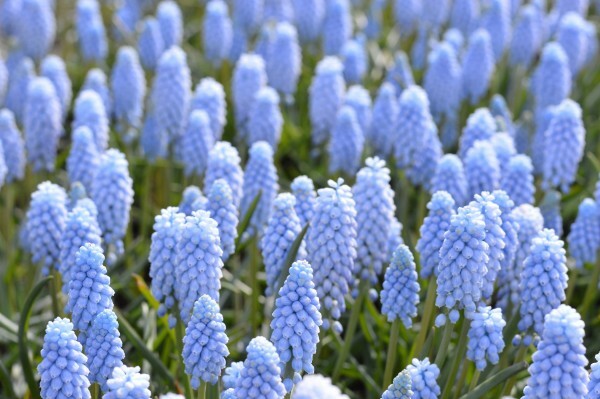 They grow well in clumps and will need rich, well-drained soil. 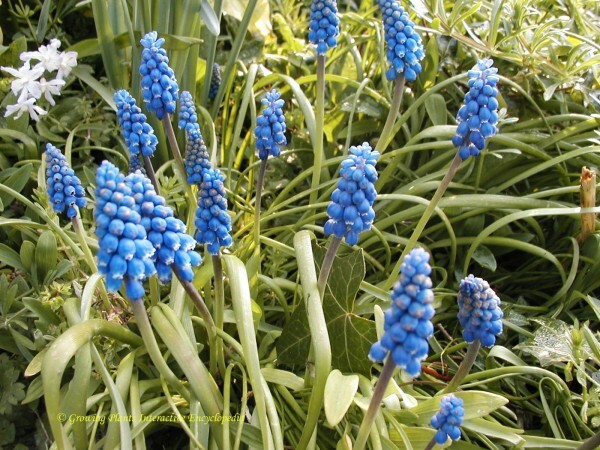 You should plant the bulbs in autumn in a sunny or partial-shaded position, but protect from hot sun in warm areas. You can propagate from seeds.